Kathleen Willingham enjoys the personal satisfaction that comes from working in a variety of media, exploring diverse avenues of expression and allowing those differences to mingle from one painting to another. Her first love has always been painting abstractly with a variety of intent and media. 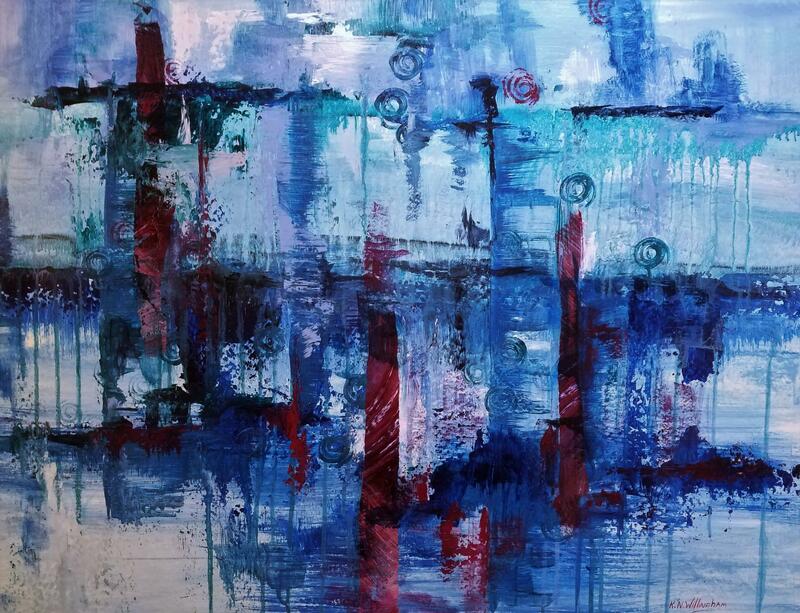 Her abstractions deal with color relationships, textures and movement in acrylic and mixed media. Her landscape paintings are usually pastel or oil and are of landscapes with which she is familiar and are done on site or painted from plein air studies. Most of her work reflects her rural background and love of its natural elements. As she moves back and forth between these artistic endeavors, she is finding that realistic elements show up in the abstractions and abstract elements show up in realistic efforts – crossing over. Kathleen will often create paintings with a similar theme, style or concept to create a body of work that explores and pushes the edges of the series. Kathleen is and has always been a Fauquier County resident. 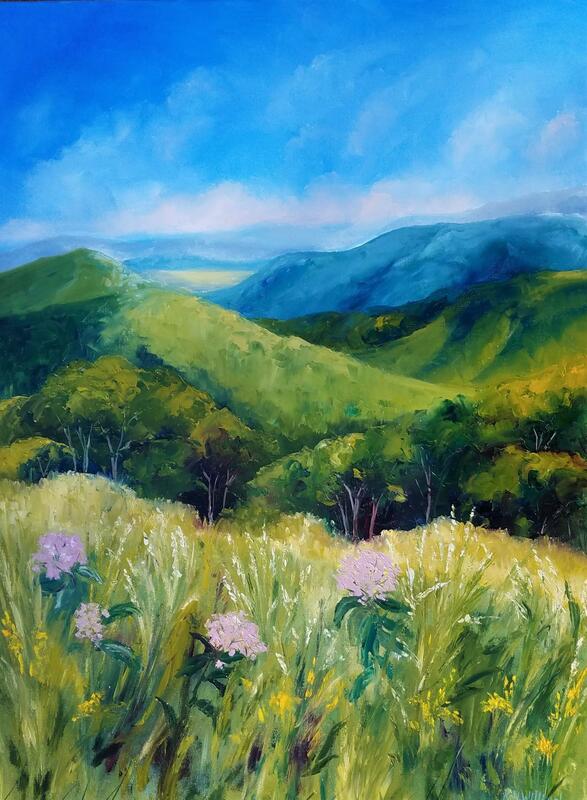 She is currently a member of the Blue Ridge Art League in Culpeper, VA; Brush Strokes Gallery, Fredericksburg, VA; the Arts Alliance at Jarrett Thor in Colonial Beach, VA and The Fredericksburg Center for the Creative Arts. Her work may also be seen at Village Frame and Gallery, Culpeper, VA and the Orange Art Center, Orange, VA. She has had solo exhibits, group shows and juried exhibits, receiving awards and honorable mentions. She is a member of the Mid Atlantic Pastel Society, often showing work in the Richmond area, and has been juried into the Pastel Society of America as an associate member. 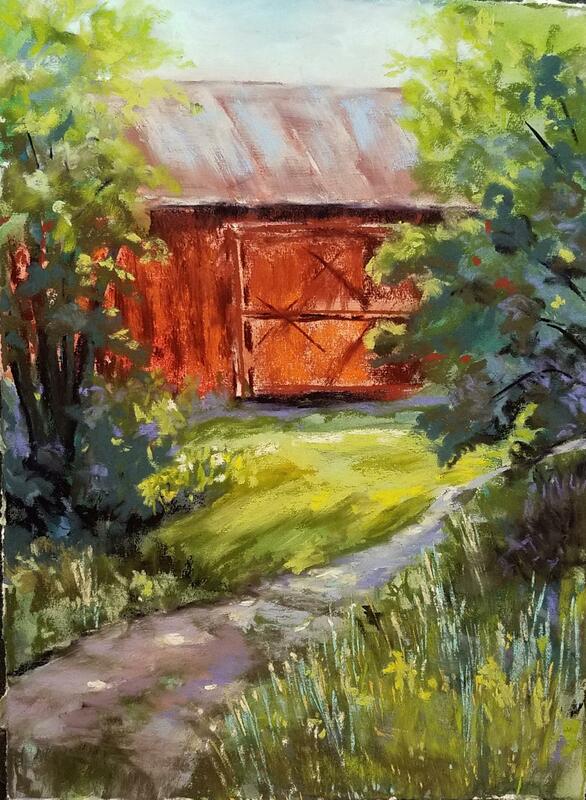 She is also a member of the Fredericksburg Plein Air Painters.